The 5 time NBA Champion Kobe Bryant replied on Twitter and teased one of his fans and the rest of the Los Angeles Lakers followers, that he could possibly make a comeback in the 2017 NBA All-Star Game. An exchange between the Black Mamba and YouTube contributor Daniel Troy, aka @TroydanGaming on Twitter, has gone viral with 1,600 retweets in just four hours after it was posted. 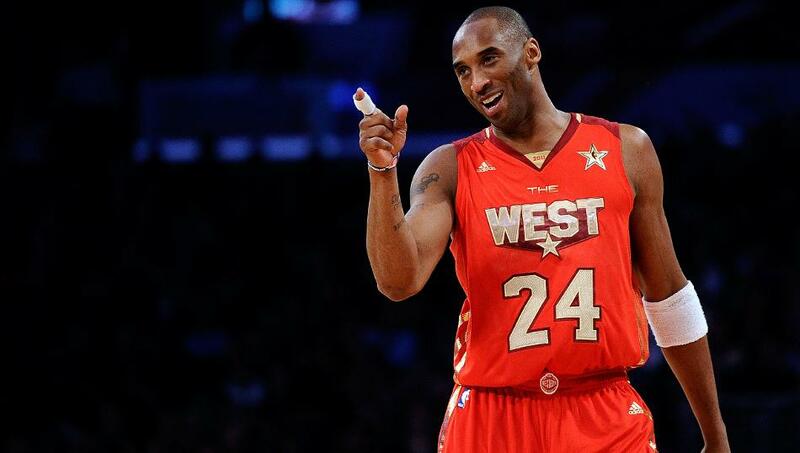 Kobe is seem apparent and willing to hit the court and play another All-Star game once more after retiring last season. 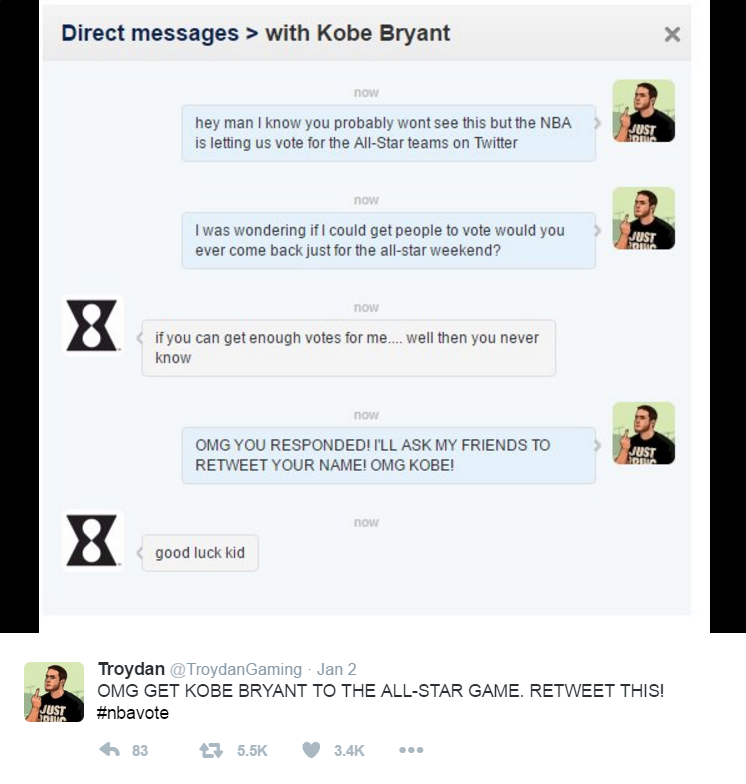 Troy, Is a video streamer who creates and shares NBA-related video game reviews on YouTube, shared a screenshot of what appears to be a conversation between him and Kobe Bryant via Twitter’s Direct Message. “OMG you responded! I’ll ask my friends to retweet your name! OMG Kobe!” replied an obviously astonished Troy. “Good luck, kid,” answered the five-time NBA champion who has been known to be respond to his followers on social media on occasion. Retweet @TroydanGaming’s post if you want to see the Black Mamba hit the 2017 NBA All-Star Game.